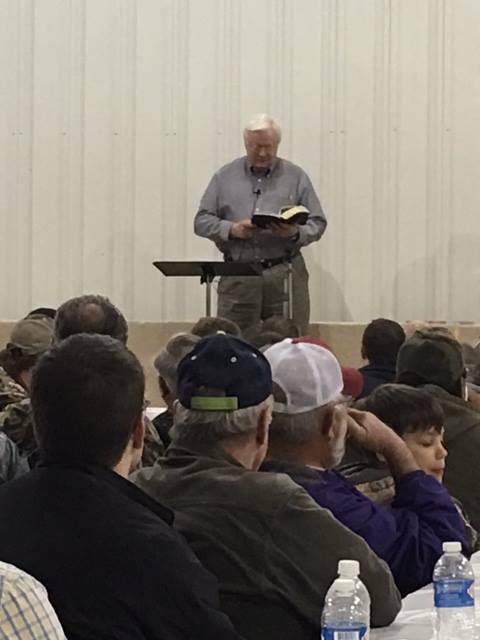 The ECBA Brotherhood/ Men's Ministry hosts an annual Shrimp Boil and Wild Game Feast. Each year, it is attended by hundreds of men from all around the ECBA and Cullman County. In addition to the huge feast of various wild game meats and shrimp, there are door prizes awarded and a guest speaker provides a time of devotion.